Mary Parke and her husband David Thompson served as missionaries to Japan for over five decades. In this installment from her diary, Mary celebrates their first Christmas as husband and wife amidst continuing tensions over the form and future of Japanese Christianity. Dec 25 [1874, Toyko]: Christmas! but not white and frozen as we are wont to see it at home. A gray day in which the rain has continued to fall without intermission through its whole length. But this has not kept us from our purposes, though it has kept not a few away who would very probably have been with us.—After assisting to cut and arrange the cake, etc. we came down to our rather hurried first Christmas dinner.—The pleasant little service at the church lasted from two till three o’clock. Then all went to Miss Youngman’s—the scholars performed and sang, the gifts from the tree were distributed, and the eatables were distributed to the extent that each Japanese had a decent bundle left to carry home in his sleeve. [There is a long-standing tradition in Japan that if you go to a gathering where there are good things to eat, you don’t eat all of your share, but take some to the folks at home.] After all this a regular Japanese “bento” [boxed lunch] was extravagantly served upstairs. At seven o’clock Mr. Clarke began giving his stereopticon views in the church to a full house. Between eight and nine o’clock we came home in a drenching rain having lost our umbrella some-where in the hurry of the last day or two. But as we toasted our feet by our good little stove all our tribulations were soon forgotten in the thought, “There’s no place like home.” A Christmas of more good, sound meditating would have pleased me better.—My gifts were various, cologne, lacquer ware, cuffs…etc. Dec 27: A very stormy Sabbath…After Japanese service Nishima [Joseph Hardy Neesima] came home with David. He has just returned from America. He ran away from Japan ten years ago and got to Shanghai. After remaining there nine months, he made, worked his way to America. The owner of the ship on which he went, being pleased with him, resolved to educate him and fit him to become a minister of the Gospel to his people. And now he comes, an earnest Christian, fully equipped, as far as we can see, to proclaim the glad news. Joseph Hardy Neesima, undated, from Kinsei Meishi Shashin vol.2. Dec 29: Mr. Verbeck calling to inquire if our Japanese Congregation would not like to have a church of their own, saying that they did not feel just at home worshiping in the foreign Church, he thought. Besides, they were restricted to the after-noon for holding their services. We said yes, it had been talked of, and we wished and needed a church very much, but at present with the amount the people were trying to raise for evangelistic work, they thought they could do no more. Then we talked of the cost of a plain, substantial building. Mr. Verbeck hinted at himself giving one hundred and fifty dollars or such an amount, and the door seemed to open, and I cannot say how gladly we went in and blessed the Lord. When we were alone David read how the means for the building of the tabernacle in the wilderness were furnished and kneeling down prayed that a willing and liberal heart might be given to this people. Yes, we committed it all to the Lord, and now in my heart is the assurance that he will soon in our midst raise himself a house where he may record his name—where he will delight to dwell. Dec 30: Mr. Hamilton calling. He was glad to hear of the prospect of a church building and said, “Send the paper round to me also.”…In the evening half a dozen of the principal church members in to consult about the matter. Their estimates as to how much they can raise much exceeds the estimate we ourselves had been making. But there are many difficulties in the way of getting permission to build a Christian Church. What a happy thing it is to live in a free country! Dec 31: Our mail came today…The Commission for David to act as Interpreter to the American Legation in Japan came by this mail also, and at Mr. Bingham’s request he has been initiated into office at once, and has received a wide paper in testimony. And now anew we kneel down and commit all things to our wise, loving Father in Heaven for the New Year into which we go. Jan 1, 1875: The full day occupied in receiving New Year’s calls. Jan 2: Several detached callers who “did not get round yesterday” here. Some of the Yokohama Christians talking about the affairs of the Church, and how difficult they find union [of the various Protestant denominations in Japan] to be. Hearing more of Mr. Carrothers’ and Mr. Loomis’ sayings and doings against the Union Church, but I grow to care less and less about these things. If only with firm faith we serve the Lord fully, not ourselves at all, no archer shall hit us, no lion shall prevail against us. Jan 3: This is the first day of the “week of Prayer.” The Programme for the week was read. We will have meetings every day in the church beginning at three and one half o’clock and lasting one hour. The Japanese have their meetings in Dr. Faulds' dispensary beginning earlier in the after-noon.—In the after-noon today Nishima preached to the Japanese a good sermon from the words, “God so loved the world” etc. Jan 4: David doing his first work as interpreter. Jan 5: Presbytery and Mission Meeting in Mrs. Carrothers’ school-room. Presbytery took eight young men under its care, five from Mr. Loomis’ church and three from Mr. Carrothers’. 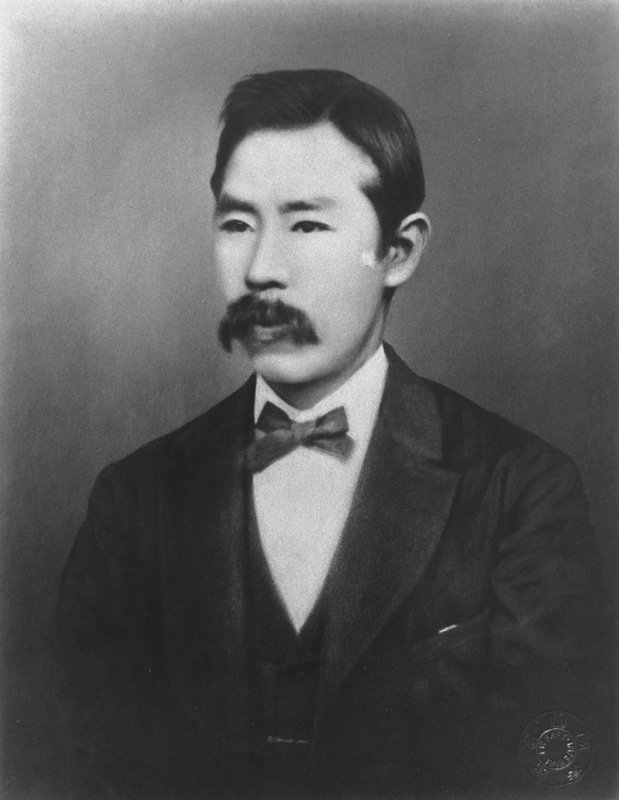 Jan 6: A bitter cold day and high wind.—Takahashi is to leave his place in the Government and be David’s teacher hereafter, spending what time he can in evangelistic work. Ogawa is to be so employed entirely. I was struck this morning with Takahashi’s want of avarice. He leaves a salary of thirty dollars to take one of twenty. David attended both the Japanese and foreign prayer-meetings. I, only the latter. Dr. Veeder led the meeting.—David weary and disposed to head-ache every night. Jan 11: School began again today. Poor Mizuno is very ill again. This afternoon we went away to his home on the other side of the river to see him, but he had just been taken in a kago [sedan chair] to the hospital. We went there and saw him. He was exhausted with the removal, but glad to see us. His Bible was lying at his head. He asked David to find for him some comforting passages and mark them. All in the room listened while David talked to him. Jan 19, Tuesday: We went to Yokohama Sat. and came home late last night….Sad, sad news greeted me when I went out this morning to take round the circulars and learn how all have been during our absence. Mrs. Palm dying! Their little baby was born Saturday. I went to the house, but did not go in to see her lest my sadness should still more affect poor Dr. Palm, though she perhaps then would not have noticed me. She died at twelve o’clock. I went back at two o’clock and stayed till after nine, the other ladies having gone, and heard much of her happy death, and how she said all she wished to say. Jan 20: Mrs. Palm was buried this after-noon in Yokohama. We went with the sad train. This is the fourth missionary buried here. Jan 22: Another one of those people nearest to us God has taken. He was among the first pupils I tried to teach. Matsudaira is dead. Ah! death, you are very busy these days, but you seem to be selecting those prepared. Whom will you visit next? Am I prepared? Jan 23: Matsudaira’s funeral is at one o’clock today. David did not wish me to go as he died of small-pox, but has gone himself. The Lord keep him from the dreadful contagion!...Matsudaira’s funeral a series of Shinto follies and worship. David and those with him called upon to worship before the tablets. [It is a custom to write the posthumous name of the deceased on a tablet. The deceased then is believed to become a god-like spirit, watching over the household.] But we hope the spirit of the dead is safe on high though denied Christian burial.—The chief retainer came to David and again apologized [sic.] for not allowing Christian burial. He said it would be the right thing to do, but the Government forbade it, therefore the family had resolved to observe their old rites. Jan 25: David has been very sick all day. He took cold last night, or at Matsudaira’s funeral, or, how I trust it is not, he is taking small-pox. Though it is raging around us, we pray, we pray that we may be kept preserved.—Dr. Palm in to give me a little memento of Mrs. Palm as she requested him to give to all the missionary ladies. It is a book, “Every Day,” presented to herself by a friend before leaving Scotland. Jan 26: David almost well again, though weak. Jan 27: Notes written to Dr. Veeder and Mr. Poat saying that the Japanese service will not be held in the Union Church any longer. I am so glad. Now, as far as we are concerned, at least, discontent may cease. The Lord keep me free from this feeling of caste that displays itself here even in Christians.—Mr. Carrothers calling in the evening, made known to us not a few things which proved to be originated in his own mind, but these things do not disturb us at all. Jan 28: Went to see Mizuno.—Dr. S.R. Brown for tea, many matters discussed. He read us his petition to the Ministry. Jan 29: Very cold. Another snow storm…..David has returned late and weary from Mr. Bingham’s, having been called upon to do the work of a secretary, Mr. Stevens being gone. Jan 30: Dr. Palm’s baby died of small-pox last night, and was taken to Yokohama and buried this after-noon. Jan 31: We had Sabbath-school at Miss Youngman’s in the morning, and in the after-noon went to the service appointed at Prince Matsudaira’s. Mr. Verbeck preached a very excellent sermon. Feb. 2: David at an official dinner given by Mr. Bingham to the chief dignitaries of Japan this after-noon. Such wearisome things are not relished by him. Feb 3: A meeting of the Church members today to consult about a building in which to worship God. Every-thing almost contrary to expectation, very pleasant. The Presbyterian Historical Society received the Thompson Papers in 2011, a collection that includes Mary Parke Thompson’s seven handwritten diaries. PHS volunteer Sue Althouse, herself a retired missionary to Japan, has been processing the Thompson Papers, and she has chosen excerpts from Mary’s diaries to share with readers. To see other excerpts, select the Mary Parke Thompson tag from the right hand menu of our full blog. Posts will be displayed in reverse chronological order. Presbyterian missionary Kate M. Youngman. Dr. Guido Verbeck was a missionary of the Dutch Reformed Church. John Bingham was the U.S. ambassador to Japan. Presbyterian missionary Rev. Christopher Carrothers. Presbyterian missionary Rev. Henry Loomis. Henry Faulds was a missionary for the United Presbyterian Church of Scotland. Dr. and Mrs. Theobald A. Palm served under the Edinburgh Medical Mission. Samuel Robbins Brown, a Reformed Church in America missionary.